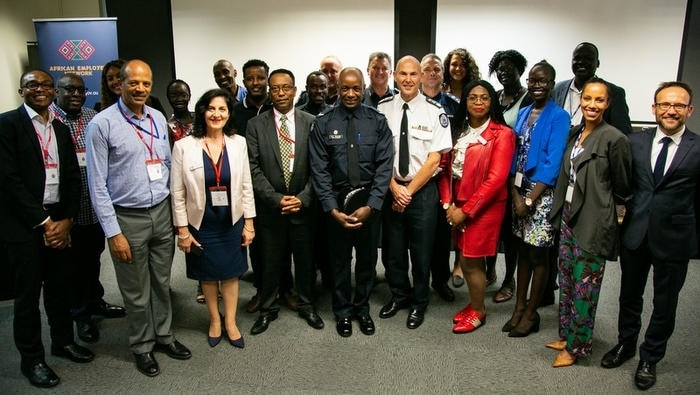 Victoria Police used the opportunity of Diversity Week 2019 to officially launch its Victoria Police African Employee Network (VICPOLAEN). First Constable AJ Bounda, VICPOLAEN’s inaugural Chairperson, says the network, which has been operating for almost a year, was established to address fellow African-Australians’ integration in Victoria’s police service. Bounda highlighted the need to have a diverse police force recalling an incident in which his intervention helped diffuse, within minutes, a dramatic standoff that could have ended badly. In the incident a dispute between housemates had occurred with one person threatening the other with a gun. Specialist armed police were deployed but negotiations seemed to be going nowhere. Looking at the protagonist’s name and country of origin, First Constable Bounda reckoned that the man was a francophone and addressed him in French. Communication was instantly established. Within minutes he had calmed down and it appeared that the gun he was wielding was just a plastic replica. Bounda’s intervention provided great relief for all involved as they did not have to use force to end the standoff. “Incidents like these highlight the need for a force that understands different communities and their cultures,” Bounda said at the VICPOLAEN launch. His message was echoed by Victoria Police Assistant Commissioner Robert Hill. 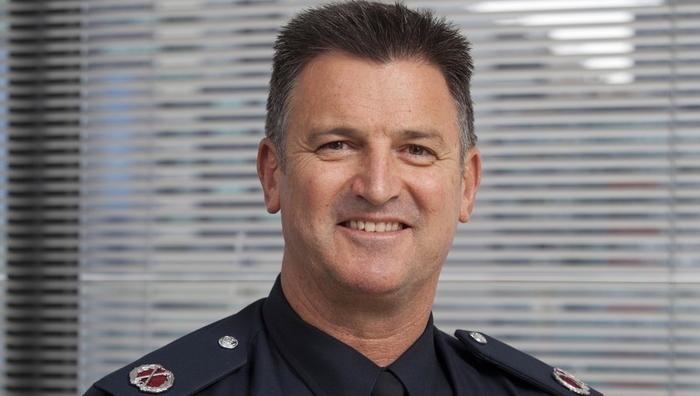 “Having a diverse workforce is critically important for Victoria Police,” said Hill. “We are committed to being reflective of the community that we serve which includes employing more people of an African background to form part of our workforce. He also announced that Victoria Police is currently recruiting more than 3,000 police officers and encourages African Australians to apply for these vacancies, especially that there is now a formal network that can help navigate the recruitment process and assist with integration. But it can be a hard sell as African Australians are generally reluctant to join the police and law enforcement agencies. Monica Forson, the deputy Chair of VICPOLAEN, works for Victoria Police as a public servant. She says VICPOLAEN can play a role in alleviating communities’ concerns about joining the police force. The good thing about the network is that it brings us together, being in a room, with people that look like you and understand your cultural background and share a similarity of experiences is really quite amazing,” Forson said. She also acknowledged some systemic and cultural barriers that have historically prevented African Australians from joining the Police. “For some members of the community the swimming component of the police officer testing requirements can be difficult to pass. In addition to this, many community members have expressed that past experiences with law enforcement in their country of birth plays a role in shaping communities’ perceptions of police in Victoria. “There is also historical issues of real and/or perceived racial profiling that impact communities’ desire to join the police and law enforcement agencies,” Forson said. It should be noted that many African-Australians have escaped countries with varying standards of policing and law enforcement practices. Forson’s journey was different from many in her community as her uncle in Ghana is a senior detective for the Ghana Police Force. She witnessed firsthand her uncle’s positive contribution to the community and developed a positive image of the police. Despite this positive view, Forson never considered joining the force as a career option. Growing up, her parents encouraged her to become a lawyer or an accountant. However working for Victoria Police, where she started in a mid-level role, opened her eyes to the multitude of opportunities available in the organisation. Victoria Police employs 19,000 people, in divisions as diverse as the dog squad, the air wing and numerous other administrative support services. VICPOLAEN’s launch also provided an opportunity other members of Victoria Police of African origin to meet each other. High school students currently undertaking a 12 months traineeship at police stations, participants of the diversity recruitment program and newly recruited African Australians still training at the Police Academy also attended the launch. 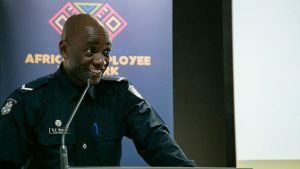 Constable Iglay Dangassat, originally from the Republic of Congo, enrolled at RMIT when he first arrived in Australia in 2007 and joined Victoria Police in 2013. He enjoys the variety of his work, but recognizes the challenges. “Dealing with people suffering from mental illnesses is one of the greatest challenges, as they can harm you, the community or themselves,” Dangassat said. VICPOLAEN launch was attended by police hierarchy, MP’s from varied political parties, Multicultural Commissioners as well as African Australian community leaders. It is believed that VICPOLAEN is the first initiative of its kind in the public service.